Join in a spirited book discussion of a selected title each month. New participants are always welcome! 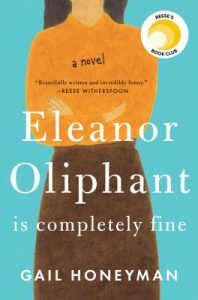 The May book is “Eleanor Oliphant is Completely Fine” by Gail Honeyman. Copies are available at the Information Desk one month before the discussion. 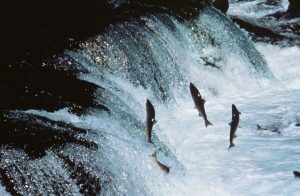 Learn about the threats to salmon on the Cowlitz river and the science behind restoration efforts. Featuring live fish! Presented by Lewis County PUD and the Washington Department of Fish and Wildlife. The average American generates an average of 1,600 pounds of trash during an entire year. WSU Lewis County Master Recycler Composter volunteers will help you move toward a zero waste goal. They will share techniques to reduce the amount of waste you send to the landfill, prolong the life of your food and demonstrate how to make your own toothpaste. The Lewis County Genealogy Society will be available to answer all your questions from beginners to brick walls! If you are just getting started or are stuck on a problem, they are here to help. Drop in and find your family story!